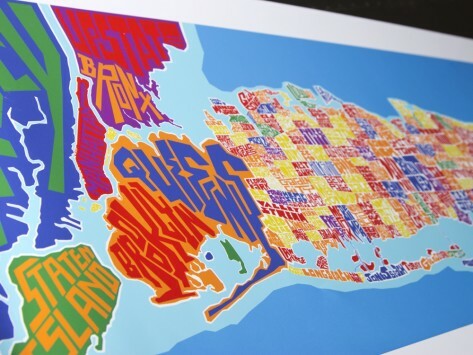 A colorful talking point in your living room or a stunning work of art for your office, these captivating typographic maps are a vibrant addition to any room. Each map is distinctly unique—intricately detailed and hand-designed. Dimensions: 18" x 24"; Exception: Long Island & Manhattan: 12" x 36"
We gave this to my daughter going away to college in DC and she loved it! A great way to picture and celebrate places of importance to you.